Thursday, 3 DEC 2015 :: Updating my efforts to make money!! I will be very busy if the photos work out well. I am excited about this opportunity to post a decent photo, and want to try new ways to present the things I want to sell. I will share my lessons with you as soon as I can. Today I also decided to revisit the website with Etsy shop and treasury widgets and will try to post one here. If it doesn't work, I will have to edit and delete it. We will see... It didn't work on Facebook. I may need to go through the website again... looking for the details. If you want to check it out for your own marketing needs... go to http://craftcult.com and try one. I'm not sure how much I can sell this year, but I will do what I can. I have an Etsy COUPON for the holidays to increase sales as much as I can... I decided to offer 25% off to everyone... You can use the code CHRISTMAS2015 through the month. I think I made it valid through the 31st. I will let you know if that is not correct. I am looking forward to building my sales sites finally. Photos are really a problem, on some sites more than others. Enjoy your day, and I hope your holidays will be filled with joy and hope and peace. NOTE :: I tried to make a link to the widget, but it doesn't function here... I will get back to you on why after I find out myself. Thursday, 1 OCT 2015 :: My FIRST video !!! I am writing this blog to see how my first video uploads and displays here... I tried to share it as a video on Facebook, but it brought up a window saying no for some reason... I have to figure that out. I wound up sharing it as a file with just a small group to see how it went. It isn't a craft video... I chose the closest subject to me when I turned the camera on... :-) ... I just wanted to try the camera and editing process. I don't remember if I shared about the camera I finally chose to buy just to learn the process. I understand these little cameras are popular for kids to get as gifts so they can film all the exciting things in their lives (for posterity, memories, fun). I wanted a VIVITAR camera that I had seen online when I was searching out prices and options, but when I got to the store (Walmart in Portland, OR) there was only a JAZZ camera available. It was about $20 for the camera, then I had to buy the recording card at almost $10, and a pack of AAA batteries at about $4, just to use it. Still, $30 is a lot less than $300. I will be able to learn with it and then will know more about what I want in a better camera. I really want to work up to Documentary style camera, something like they use in media reporting, with software and all the other related equipment. I don't use my own computer, so uploading the related files was a problem. I don't think it has been fixed yet. I have to wait for the owner of the computer to get home. :-) When I transferred the original content from the camera to the computer, it worked fine... opening up in a Windows Media file. I tried to load it up again with the plain Window option and was able to save it to my desktop. I am looking forward to my next effort! It doesn't look like it is uploading... Maybe it will appear as I work on this. I will keep trying to figure out the video posting process. Monday, 28 SEP 2015 :: What matters in SHIPPING online? I am beginning to make purchases more often at Etsy because I actually have money now and have been trying to budget for supplies. It helps me to see the buying process at Etsy, the difference between shops, and the details that matter most. The first thing I noticed is the shops that don't provide tracking for their shipments. I just assumed everyone provided tracking. Not having a place to check on your package left me hanging as a customer... wondering where it was, what day to watch for it, how long it would take to travel from another part of the country, and more. This is all a learning experience for me as a seller as much as it is a learning experience for me as a buyer. After the first few packages, I began to notice the shipping labels on the packages when they arrive. I began to see Etsy shipping labels, and which carrier was chosen to deliver it, and what kind of shape the packages arrived in. I tried to see the actual costs of mailing to compare with the charges I paid (not really available, and a wise route to go in because shipping is also about the packaging). The product was part of the equation for packaging, so I had to keep that in mind. The better packaging made me think of gift delivery, offering choices with a listing, and considering it a "branding" effort. I am really working toward better solutions for my products and shop/s. With the newest crime (especially at holiday times) being package theft at the delivery door, this issue of package tracking is very important. We like to think that our neighborhoods are safe, but thieves don't care where you live or even know what is in an unwatched package. I imagine the "nicer" neighborhoods are targeted more than poverty neighborhoods, but I don't really know. Poor-on-poor crime is just as bad in some statistics. Thieves steal first, and then discover what they got. Wherever you live, the main problem is that YOU are the one that loses the item you have been waiting for, you or someone else paid for, and you want (hopefully). As cybercrimes increase, thieves may begin to know what is coming and follow your tracking themselves. I don't know what the perfect solution is, but tracking helps me. A bad shopping experience really leaves a bad taste in your wallet. It makes me not want to buy from any stores on the site. I found it hard to buy online again after I had a bad purchasing experience. What we do affects everyone else on our sales site. It takes time to find the sellers you want to continue doing business with. I am thinking that once I do find those online stores I like and want to buy from, I may not venture too far from them. I won't have to worry about a new shop, if it's a fake, if it's a scam, etc. I may only need to browse for items when I don't already have a source for it. Know this in myself makes me want to make sure my shop is consistent and trustworthy in lots of ways, including policies, shipping prices (and methods), listing details, and sales processes. Once I get it all figured out, I want to be able to build on that foundation, to find permanent customers for my products. I think that is part of the reason I have been moving so slowly to build my Etsy shop and other online sales points. I want income, I desperately NEED income, but I am hoping for long-term benefits instead of instant sales. I am trying not to fret at the time it is taking, and hoping it will work out better in the future. If you have a shop, I hope you provide package tracking for your customers. I think it is a great investment. Yesterday I went to my first quilting expo. It is held locally every year, that I know of. This year is was a three day span - Thursday through Saturday - at the Portland Expo Center. I added links at the bottom of this post so you can explore the event. I was only able to afford a one day ticket, which was $10 (the 3-day ticket was $27). It was hard to decide whether to go on the opening day or the weekend day, but I finally decided to go on the opening day, which was yesterday. They are generally open 9am to 5pm on all three days. I didn't really know what to expect. I knew there was going to be a display of quilts, vendors, and classes somewhere. I hadn't even been to the Expo location before. I had only seen it once before, many years ago, when I explored the MAX transit line that it is at the end of. The best part for me was discovering some of the amazing quilt design, the ones that really stood out from the crowd. It helped me to see that any designs I might want to create would be OK, that quilting isn't just about geometric shapes anymore, and that the computer really has changed our ability to create art on fabric. I'm not sure what directions I want to go in with fabrics, but I thought it was a really great experience to see some of the talent that is out there. I also looked at the vendor spaces as I walked through each aisle. I was trying to find out what quilters use and see if any of their tools would be good for other things I am working on. I found a small bundle of Insul-Bright to try, some small portions of beads to add to my supplies, and an iron-on sparkly thing with two red hearts... I'm not sure what I want to do with that last one. My most difficult financial mistake was not taking lunch with me. I was really hungry and tired and didn't want to leave early, so I wound up spending $8 for a large baked potato with chili, cheese, bacon, sour cream, and then butter at the end when there was only potato left! :-) It was great to eat, but a lot to eat, too....and I didn't want to waste any of my food or money by throwing half of it away, so I managed to eat the entire portion. It was an expensive lesson for me, but that is how we figure these things out. I discovered some prices on different types of sewing machines that would be nice to own. The computerized models I was shown went from $5K to $15K, depending on what you wanted on them. In order to make my own designs, the high-end model was ideal. I think applique will have to do for awhile! If I stay in the Portland area, I will try to enter a quilt for the exhibition. Maybe ten years ago, or less, I began discovering the County Fair competitions and planned to continue submitting entries there, but this county doesn't seem to have a County Fair, so I was looking for alternatives. This quilting exhibition will be perfect. I am finding there are a lot of different quilting events, so I will have to find out the best ones to enter. There were small and large quilts at the event. I like small, so that will be fine for me. Enjoy your weekend. I hope to write more often in the future. I'm just beginning to get my crafts going. The photos are my biggest problem, but that will work out in time. 20 AUG 2015 :: Christmas planning -- start NOW! I was reading through some of my saved articles to read and one was about planning your Christmas season in August. During my first holiday sales season with Etsy last year, I discovered that Christmas online begins in September... so that has been my mantra, my goal, for future years. As I have been watching things unfold online, and learning about the process of selling online, I realized why the brick-and-mortar retail stores have been setting up their displays earlier every year... their competition begins with online sales, which begin in September on the internet. Another great bit of information I discovered today was that Christmas Clubs, where people have a special bank account set up for holiday spending, deliver the contents of their accounts around the first weekend of October. Another reason for early holiday sales displays everywhere. I have been trying to decide what to do with my own Etsy shop for the holidays. We have certain options available to us...and figuring out which ones to use and which to leave for another time, or not use at all, is part of the shop owner's responsibility. I still have one of my ten allotted shop sections available for use... I haven't decided if I want to name it "HOLIDAYS" or go for the "Wholesale" designation (I have products I plan to offer as wholesale purchases). I don't have any holiday photos yet... but I am thinking about it. What products and/or services will you offer discounts on? Will you have enough inventory to meet shopper demand? Will you advertise a loss leader to help drive sales of more profitable products and/or services? What are your holiday revenue goals, and do they differ from last year's results? What is your holiday advertising budget, and what marketing channels will you be using to maximize sales? If your company can't compete on pricing during the holidays, can you develop a winning strategy that focuses on quality and highly personalized customer service? Very good questions to think about, aren't they! In my quest to overcome the problems I have with photos to upload, I have discovered that Microsoft software seems to work. I must have tried it before and forgotten about it because when I went back to update my Etsy listings with non-lavender photos, I discovered there were photo versions already made. It has been too long to remember all the details, but I am moving into a higher gear to get my writings available to purchase as digital and non-digital items. This seems to be the month to focus on all my Christmas listing plans. In the search for products to create, ones that matter to me, or seem achievable in my circumstances, I have been creating lists and gathering supplies and am working out a schedule to get them done and online. I still haven't figured out my "studio" space, but it is getting a bit more functional. When I look at the works of other people, I think about my own plans and the directions I want to go in. I have never tried to earn a living with art or crafting, and never expected to be building a sales connection on the internet. It is hard to decide whether you have enough talent to accomplish anything substantial. When I look at other works, I see that they each have their own style and direction, and I can develop my own without worrying that it is good enough. It is helping me to gather more courage and just get my works done and listed for people to see. :-) I suppose my style will change as I learn more and experiment and gather better supplies and equipment. 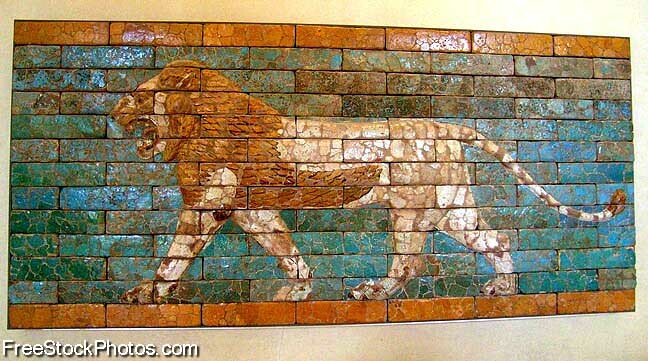 I love the design of this lion... it is on a wall somewhere. 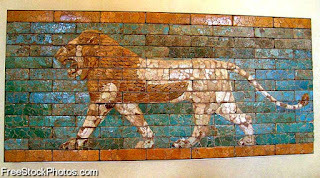 It reflects the "Lion of Judah" to me. 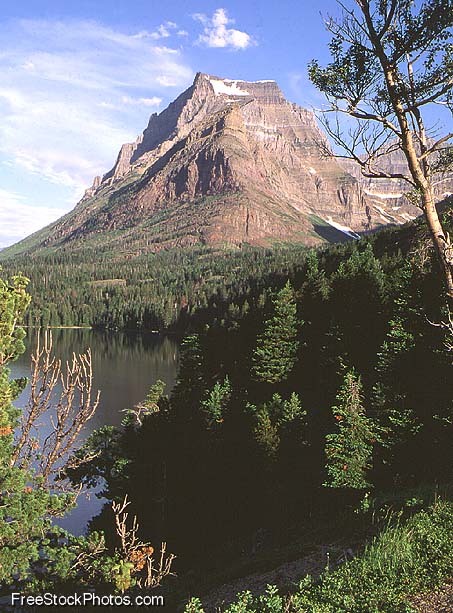 This top mountain might be a great photo for my MOUNTAINS writing. I need a good photo for it. I may just play around with it. will take you to placed that others will never see." I can't seem to get the text to work next to the bottom photo, so we will have to learn that strategy soon. I could get rid of the photo and never let you know what happened, but I like that photo and want you to see it. I think being able to draw and paint nature is a great talent. I don't know if I will ever get great at it, but I hope to find some way to incorporate nature into my creations. I will try to post more regularly, but no promises. I am busy with several issues and have blogs for all my topics of interest. Food is a biggie right now, too. As I create my Christmas products and new listings, I may go ahead and share them here. It will help me figure out the photo and text problems. I hope you are busy with all your dreams and crafts, too. This blog, and some others I am trying to work into a routine, has not been attended to as I hoped. I am sorry about that. I am trying to find a way to share crafts, preferably beyond my own, but I keep seeing lots of personal blogs and am wondering how to develop this space and outreach. I come across so many wonderful crafts and creators that I think we all need to know about. For now, you better just go to my work2gather.etsy.com shop's FAVORITES PAGE. It looks like they (ETSY) have changed the favorites format so the one group that had all my very best favorites is gone, so you will have to decide which listings in my collections are for linking with later (for some reason) or a real favorite. I haven't checked on my treasuries for some time, but will let you know when I update them. I am working to develop an ongoing updating process for things like my shop announcement (updated today) and policies. Thank you for your patience. As I have said before, I am working toward Christmas inventories every year, with some products for a few other holidays during the year. I am working toward a goal to list Christmas in September and October so customers can have time to browse and choose. :-) Christmas is my favorite holiday for giving, and I want to be a part of that special process of sharing with as many people as possible. I actually had to keep myself from writing a post over the weekend. I have been trying to make myself hold to a schedule, which is forming as I discover the best way to get things done :-), and have been trying to find a way to collect the topics and information I want to share here in a better way. It is still a work in progress, but it IS getting better. Last week I made my first purchases at Etsy -- one with regular Etsy checkout, one with PayPal. I wanted to find out what it was like to be a customer. One of the orders had an Etsy shipping label, both had tracking, one came within 3 or 4 days, the other took until Saturday's mail. Both orders were made at the same time (something I didn't know about buying at Etsy :-) with the same shopping cart. I would like to add that I sent a Mother's Day gift to California by Priority Flat Rate and it went all the way to New York before it went to California... and I live in Oregon! The purchases I made had different reports with tracking than the USPS reports I had in the past. I also have a FIVERR.com account and am trying to decide what to buy there so I can watch their sales system. I have sold and purchased at eBay in the long past, but want to see what it is like now. My money is tight, and I am working on a budget to take care of all these needs and more. It will take time to get to all these things. I followed a link from somewhere (my artbizcoach.com blog newsletter, I think) to a site called - difference.is - and it led to a printable form for developing a marketing strategy before or after you have your product. :-) I made copies to work on later, and have some I'm sending to others. One page forms are good to focus the mental energy needed to plan something. I hope you go to check it out, too. It may change the way you think of your business. It has been a busy weekend for me. I discovered a bunch of sites to buy supplies from in the future, and discovered the difference in shipping options once I went to the checkout page. It made me more aware of how great the shipping challenge is to online selling. I have been looking for a good postal scale and commercial grade food scale. They were part of my supplies hunt. I'm getting closer buying both as I work through my product plans. Christmas is closer than I realize... I need to get my inventory and draft listing ready! 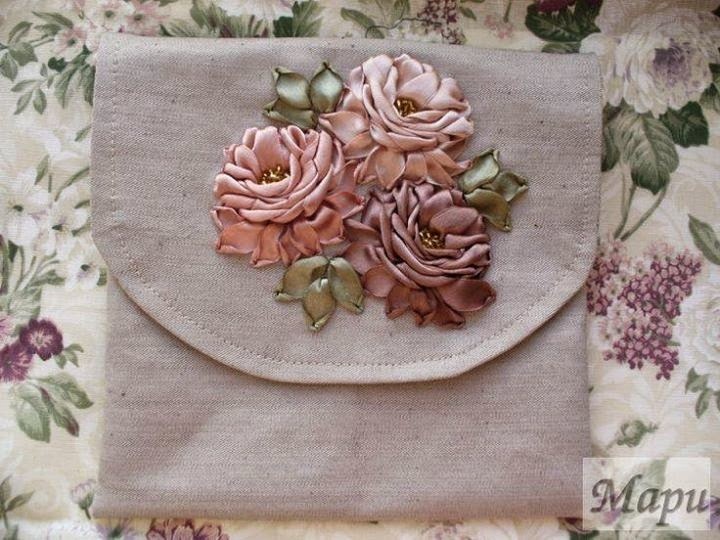 Just wanted to share the things that I am doing in the crafts and online selling areas. I have been trying to sort through all my collected notes and have been transferring the details from my scratch paper to notebook pages I can eventually organize and review. It has been reminding me of all the things I searched for and studied for last Christmas. I am going to use this information to review my current listings and then work harder to create better listings in the future. I have been sorting through my small space to make more room for crafts and artworks, trying to get more listings online. It seems like a difficult task, but I am making a space that will last for some time. I am also figuring out the right pieces of furniture and shelving that will fit in here and allow me to accomplish more. Hopefully, it will all come together soon. In the search for the best products for me to focus on, I am making a list that will provide a lot of options... in several craft categories...like art, fabrics, food, digital, etc. I am searching for listings that will just need to be renewed, which means they will be available year-round and continue until deleted. That will help my shop content and allow people to search my shop categories rather than browse page by page from the shop homepage. Soon, I hope to build up regular customers at my etsy shop and other places on the internet, like fiverr.com and eBay. And I am going to learn video! (which I will learn to upload to my YOU TUBE account and other places. :-) There's always more to learn, to buy, to save for, to pray for, and to do. All this work at home has caused me to reduce my time on Etsy and other places online. I have been able to see the effects of letting things go...and it is helping me to make a better plan for the future. I went out looking at cameras, camcorders, and tablets. I plan to check on laptops and desktops soon. Not having technology has always been a problem with my goal achievement. I continue to pray that GOD will provide for me the things I have sought Him for all these years. There will soon be a production process for me...finally! I am looking forward to it. I have habits for the days and nights, and have to find the balance between work and rest. This is always a problem with home-based businesses, but I shall overcome! Setting up SHOP HOURS is becoming a really good goal... and I am working out the details... I think making them my online hours will let me take care of customer contacts at a specific time and help me to limit activities that get away from me. I was really encouraged to read that other people have the same issues with Facebook and other social media when they get online... the problem with wanting to check on your account, thinking it will take only a few minutes, and then realizing you have been looking at posts for two hours! :-) A real problem when you are trying to work out a schedule. Well, I hope you are organizing for the most important sales season in your goals (mine is Christmas - September to December). It is a challenge, but we can learn how to find the customers that matter to us, who will like our products and return to buy other things as time goes by. Until next post, May GOD bless those who love Him, who struggle to make ends meet, who trust Him for their survival, and who want to help others. Amen. Just wanted to share that I am still reorganizing my living space into work areas... major changes, good changes... it looks more and more useful for my craft activities. As I am able to create photos of my efforts, I will share them with you. This week has been absorbed by all the sorting and changing, so this weekend should be a better effort at creating. I am hoping that GOD is going to bless my life and efforts with all the things I need to accomplish a lot of my goals. I keep moving in those directions the best I can. Pray for me, pray for His blessings for me... thanks. I have been busy using up some recycled GESSO (finally) before it completely dries in the bottle! :-) I discovered that playing cards I found at the thrift store are the right size for ACEO art, so I am putting on layers of Gesso to create a painting surface. I didn't get all the cards covered, so tomorrow I will check on them and try to finish. I will keep you informed on my Gesso efforts. I haven't really created anything with a Gesso foundation, but I do vaguely remember trying to see how it worked. Playing cards have 52 opportunities to see how it work... I'll put the best ones up at my shop. I don't remember all the things I wanted to share when I entered my post for yesterday, but I may remember them as I work on this one. Today I have been busy creating and revising my own forms to keep track of the important goals I have. I am learning what information helps me to improve my efforts and, eventually, my sales and income. Deciding what to name my ten Etsy shop sections is one of the permanent foundations I am working on. I have already committed to nine of the ten section titles I am allowed with a single Etsy shop, and need to find the best name for the final one. I have also toyed with the idea of splitting my efforts into two shops, but decided to wait and see which of my products sell the best. These titles cover pretty much all of the craft areas I want to be involved in at some level. My problem is Christmas. My online (retirement) sales goal was to create the largest part of my yearly income with collections of Christmas ornaments. I also want to find products for Valentine's Day (Love), 4th of July (America), and Earth Day (recycling). Almost every day has an event focus of some kind... I don't want to become overwhelmed trying to create sales options for all of them. I don't know how much I want to focus on Christian holidays and events either. Other parts of my shop development efforts are creating a variety of products for each of my shop sections, and having those products fit into different price categories from $0-10 to over $1000. I don't know which ones might sell better than the others, so creating a variety will help my chances of finding the right item with the right price for potential customers. My goal to create 25 new listings each month is another part of this development effort. One of the forms I was working on today is a way to record the details of my listings in one place. I can already see where more improvements need to be made with my current listing group. Once I fix these problems, I can begin to create my new listings. I have been gathering supplies and making lists of the products I want to make first. I hope to make a huge dent in the 100 listings I need to have to catch up with my goal by the end of April. Using my goals notebook, recording my activities, planning my strategies, reading and learning more each day, gathering supplies, making workspaces, and thinking about products to make -- these all contribute to my long-term income goals, to permanent foundations that will grow as time passes. I am sorry, I browsed a lot of internet as I headed toward my blogging, and will have to enter this one tomorrow...hope you don't mind... I can hardly think when I get really tired. I had several things I wanted to share. I will probably connect all these blogs through the main blog I do for Working Together (working-together-inc.BlogSpot.com) by putting links to the new ones there. I'm still working out the details. I wish I had my photos done... I am working on creating new ones for listings that are getting done. It will have to wait. Having a more flexible schedule will help me deal with health issues I have. My big goal right now is creating artworks and putting them into frames I have from thrift stores and other places. I am working on getting them into better shape, figuring out how to paint and seal and make them look new. I will eventually create something of my own... but I like the recycled versions for now. I hope to make both new and used framing options, as well as just matted for lighter mailing costs. I think today is not a good blog day for crafts. I hope you don't mind. I am working on a lot of different parts of the process, and haven't got them organized yet. I will share them with you as soon as I can. Thank you for your patience... enjoy your weekend. I am writing this on Thursday because I want to make sure an entry gets posted. I have felt good and don't know what the day will bring. In the effort to develop my online income, I have been busy. My goals are becoming more and more defined and organized, my supplies are getting built up, and my product options are beginning to find a path to the sales listing. Most of my focus is on my Etsy shop, but my Fiverr gigs and eBay auctions are always on my mind as I learn new options for Etsy. These are the three selling venues I have chosen for now. I am also learning about social media and online marketing throughout this effort. You have to remember I haven't been at this very long. My previous efforts to sell online were PayPal links at my Working Together website -- and those need to be re-established, too. My 25 listings a month goal is progressing. :-) I have been creating listings at Etsy that aren't actually NEW items, but they are separate listings that didn't exist before. I am breaking my "conglomerate" listings into smaller parts, revising to improve other listings, renewing the ones that are expiring, and finding ways to present them better. I am also making duplicates under different categories in my shop to see if it makes a difference. I read about doing this in an Etsy forum, blog, or a team post. It's hard to remember when you read a lot of materials. I'm experimenting with what I am told are SEO (search engine optimization) techniques. I'm not sure how that affects your search inclusion, but I will give it some time and then decide. I guess the best example of what I am doing is my previous ACEO listing. It is/was for any option you might want, with different pricings. I have already created separate listings for framed 5x7 and 8x10 artworks, and I will be developing new listings for mailing these works as art only or as a matted presentation. Currently I have been using the same main photo with all of these related listings. I may keep it that way, or replace these photos as I create new art and begin to photograph it for my listings. I have two ways to present the ACEO, so I will make separate listings for each of them. I am hoping this separating will show the variety of choices better, and also separate the prices so potential customers will know what each one costs. After a time, I may combine them back up again, I'm not sure. I found some really great craft supplies at the Salvation Army Thrift Store's 50% Sale Day yesterday. Plus, I was able to reach the local recycling organization's store and found great things there, too. I have been cleaning it all up today. I guess the best item at the Salvation Army was a silicone baking sheet, and the best thing I found at the recycling store was a stamp that is a pattern for making photo corners. :-) I found a lot more (that matters to me), but I wanted to share the two best things I found at really low prices. I am happy. The lower prices allow me to experiment with ideas at a reduced cost. It may be that my experiments will produce something worthy of selling, but if they don't I am not losing too much money. The search for a decent space to work in is getting better. I still haven't reached that goal, but I am closer to it. I need to take a lot of photos to post, so that will be a space that has to be figured out. I get encouraged when I see the spaces other people work in... I just need to make my small space work for me. I looked at new cameras this week while I was out shopping. The bigger, nicer ones are pretty expensive. At least I have a price range for that goal... not to work out the details and try to figure out how long it will take to get on. I guess a seller has to make their plans without counting on sales, because there is no guarantee you will sell anything. If I do find a way to selling more, I will be able to reach my other goals sooner. That would be really nice. The comments on this site are active. If you have any suggestions, let me know. I will check on them and see if they might work for me, and then share them again in the future. 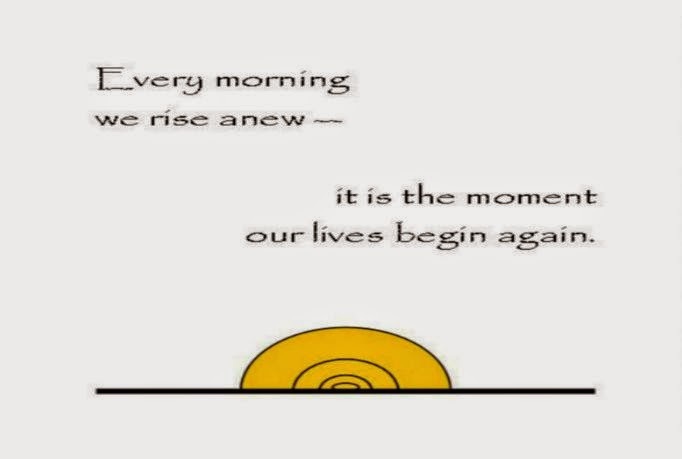 I wanted to share that I may change the day for this blog... I will let you know. I was just at my Facebook page(s) and discovered a post about leadership quotes. In an Entrepreneur Magazine online site, there is an article with 50 quotes on leadership. I was inspired to share it today, since it is my CRAFTS Explored day... and we are all developing our crafts businesses. It is suggested it is an 8-minute read. I was led to the article by the Max Lucado quote on the post I saw... about an orchestra leader having to turn his (or her) back on the crowd in order to lead the orchestra. :-) I saved a copy of the article for future reference. Some of them may appear here in the future. This week has actually been productive... well, it FELT more productive. I get things done all the time, they just don't feel directly related to gathering cash to live on. This week I finally went through a few of my listings and worked out the revisions I have been thinking about. Then I copied one, revised it for a new photo and item, and then added it to my list. I officially have ONE more listing, but I really have more, because my revisions changed the original offers into new offers. I haven't figured out all the details within the Etsy process, but two of my listings had to be renewed. The one I revised (edited) didn't need to be renewed so the end date stayed the same. Once I get the listings to a permanent content, I will only renew them when they end. That's 60 cents a year to make the effort to sell something that matters to me. It is one of the reasons I decided to try an Etsy shop. I know that listing doesn't mean a sale, but the 4 month timeframe and the 60 cents a year make trying a reasonable cause. Another thing I accomplished this week was updating my Treasuries. I had looked at one awhile back and discovered items were missing. I don't know how they disappear, but I assume it is because the listing goes away. Sold items will still show up in my Favorites section, but they can't be used in a Treasury. I really love some of the things I favorite for one reason or another. I like to still have a picture of them to remind me I once knew them. I am trying to find a new place to share my Craft Cult widget for treasuries since I removed it from the blog space. I liked sharing all the great products I find on Etsy. I'm not sure where I can do that. If I can find a way to place it in my posts, maybe I can add it at the end. I will let you know when I find out about that. I have a son in prison right now, and I have been trying to encourage him to use the time there wisely, planning for the future, creating art or something to sell when he is released, and other things. I have two pages I created some time ago about making goals for yourself. I made new copies and sent them to him. Prison is such a waste of time... I am hoping he will find a way to make it count in his life, to help him create a better future when he is released. Having REAL goals, well-planned, well thought out, may help him. Unrealistic goals just discourage us and make us give up. Most of us don't realize how much work goes into achieving a goal... and that it can take many years. The information I shared with my son was gathered from several sources, but it was mostly from Brian Tracy because I was experimenting with his suggestions at that time. I followed his 10 Goals a Day for 30 Days suggestion and it showed me how to sort through all the different goals you have and find the ones that mean the most. It also showed me how goals change. What something like this does is help you keep focused on your goals. It is so easy to lose track of them. I have been developing a weekly approach for myself. It helps me keep focused at a different pace. I have been developing my own forms to help me keep track of the information I need to make decisions. I have printed many of them in my quest to create actual SMART Goals. :-) See if you can do better than I did with your goals. The US Government has lots of information about goals, too. I went to usa.gov really quick and found this page. You can use it to compare with the Etsy worksheet. I hope to have more information on developing your shop next week. See you then. I don't know where the time goes, but it sure flies away! I am close to the point of doing my blogging in the morning so I can get it out of the way :-) and not have to worry about it.... that would give me more time to figure out the photo problems, too. I am fond of going to the Salvation Army Thrift Stores for their Wednesday 50% off everything in the store sale. I use to try to go on other days, but I would always find something I really wanted that wasn't on sale... that would mess up my budget and reduce my pile of treasures. Now I only go on the sale day so I won't have to deal with that frustration. I found some great deals this week. I always do. I search for hours and try to spread my budget around the various things I need, or the sections of the store. I didn't get near the clothes -- that will take hours just by itself. It was my first real shopping day in a long time... I wanted to search as much as possible. I tend to grab anything I might want and then decide what to actually keep (pay for) when I am ready to go. I always lament the things I can't purchase... sometimes for a long time. It's a thrift store, and the items are at a discount price, but the dollars add up fast... I tend to go over my planned budget every time. I look for craft item, kitchen items, books, VHS tapes, and whatever else they have in that part of the store. Since I am doing art now, I am trying to build up my picture frame collection. I only bought the ones I liked for 44cents this week, but I am looking at the larger ones and trying to figure out how to get them in the budget. I limited myself to 4 picture frames, with one that I can use as a pattern to create my own later. I haven't decided which is better for refurbishing yet, but wood can always be painted. After you get done, it's like new. Smaller ones don't cost as much to mail, and will fit into the small USPS Priority Flat-rate box. Flat-rate shipping is good because it is reasonably priced and includes tracking. I am trying to create items that will be low on shipping costs and still be flexible for the sizes I want to make. It's a plan that I am working on still. I am also working out food products to sell...so the kitchen aisles are a great place to explore. I found a second heavy sauce pan this week. I hope to try it out next week. I also found some Tupperware that will work for either food or craft supply storage for me. I love Tupperware! Tried to sell it a couple times in my life...and hope to include it in my WT projects. In the book section, which includes audio tapes and VHS tapes for my search, I only look at the soft cover books because they become 50 cents each on the sale day. I discovered a Barron's Business Review Book on Accounting. It was published in 2000, but I took beginning accounting classes when I first was able to go to college in 1983, and math is math... I wanted to review the process, so this should be a great reference tool. I think it is wise to have a basic idea what is going on with the software programs you use for accounting, and I like to use Excel for my budgets. I hope it will give me some of the formulas I need to use. Barron's produce excellent books...if it was a name I didn't know, I doubt I would get it. Another book I decided on was a recipe book for people with diabetes. I know the recipes will be healthy and I am working on my menus... looking for better recipes that I might like. Hope it works out to be a great find. Finally, I decided to take a little product recipe booklet by French's on mustard options. There was a peanut sauce recipe, and a couple others that looked interesting, so I decided I would pay the 50 cents for it. :-) I usually have a $1 book budget. One item I really had to debate myself about is an audio book package I found by Covey (author of the 7 Habits series). It was missing one tape, but I thought it would be good for my collection on sales and success. I have things from Zig Ziglar, Brian Tracy, and other people I tried out because they were at a sale price. I have always loved Zig Ziglar... Brian Tracy is new to me. Before Zig Ziglar I use to listen to a lot of the Nightengale-Conant materials. I could really get going about how great some of these materials are, but I can't right now. I will make it a topic for future blogs. I finally decided to get it... it was $1 on sale. I guess the great thing is the reduced price for things that will be valuable to your work, your growth, your plans. Once you use something, it's no longer new. It doesn't really matter if something is used as long as it is in good shape and will meet your need. Now that I have a little income with my Social Security Retirement payments, I will be going to the Salvation Army sale at least one week a month. When I get my crafts done, and start selling them, I hope to have enough money to go more often. the more you have to spend. Craft supplies can be harder to find...but kitchen storage can work more than one job. I found a great little wooden roller for my clay work. I also found a great silicone baking sheet with doxen shapes. I thought about sending it to someone that is very fond of doxens, but later decided to see what I can make for Etsy buyers with it. I am trying to decide which direction to go with it. I discovered two "widgets" to try... both for my Etsy shop... one shows my listings and looks like it will lead the viewer to a purchase, if they want to buy something they see... the other one displays a chosen Treasury that is associated with my shop. I also placed the shop widget on my website for Working Together. It is an exciting new discovery for me, which I have been sharing as much as I could. I have been trying to increase my shop listings for some time, but all the other things I have to get done seem to distract me. I am working to set up specific "Studio" hours for building up my inventory, but haven't decided which hours to commit to. I am, however, changing my sleeping pattern and trying to reach a work day schedule of 6am to 10pm... meaning I will go to bed at ten and start my work-related activities about 6. I may start setting my alarm for either 4am or 5am...to let me regain my personal Bible time and to listen to a radio program with Praise and Worship music at 5am. This seems like a lot of thought about simple events, but committing to a schedule as a person that works at home is really an important decision. The TREASURY widget is important because it is replacing that revolving display I had earlier. It shows Etsy products that I personally like, and it allows me to share what other sellers are making. For my blog, that diversity is a way to reflect my purpose. All of this is making my crafts blog more of an Etsy adventure...but time will help me to decide how I want to handle the craft sharing process. Many of the Etsy shops lead to other places via their blogs and other social media links. It is a big world. There are many talented creative people to discover. For my website, I am trying to find the smaller version of this widget. I first noticed it at a Russian site I linked to... I think it was Russian, it was over there somewhere. It would be much better as a smaller item. The larger version is fine for my blog. I haven't explored all the links on the widgets, or the buying process through this widget. I will be doing that in the days to come. If there are any problems, I may update this post with the information or I may put the information in a new post. You can explore all the options available at the widget site ( craftcult.com ) for yourself... If you know anyone that can benefit by this marketing option, share this blog link with them so they can see how it looks and click through the links. Don't forget to also click the follow button for this blog to keep up with updates. It's at the networkedblogs.com section by the archives. I have discovered a large number of really great crafts and talented creators since I have become a seller at Etsy. In my personal browsing through forums and networking games, I noticed the photo below. 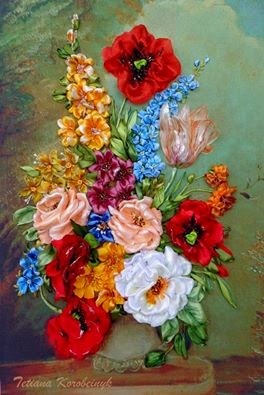 I don't remember seeing anything this beautiful in embroidery. 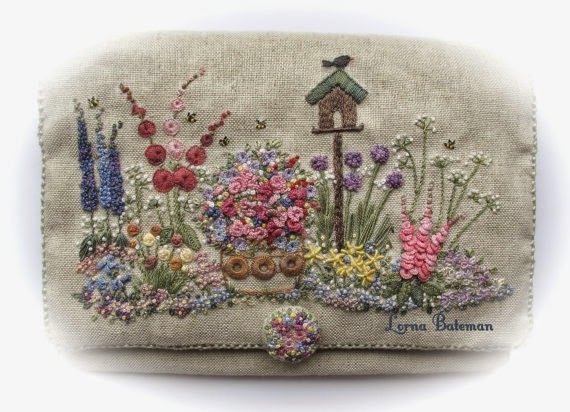 The crafter is Lorna Bateman and she lives in the United Kingdom. 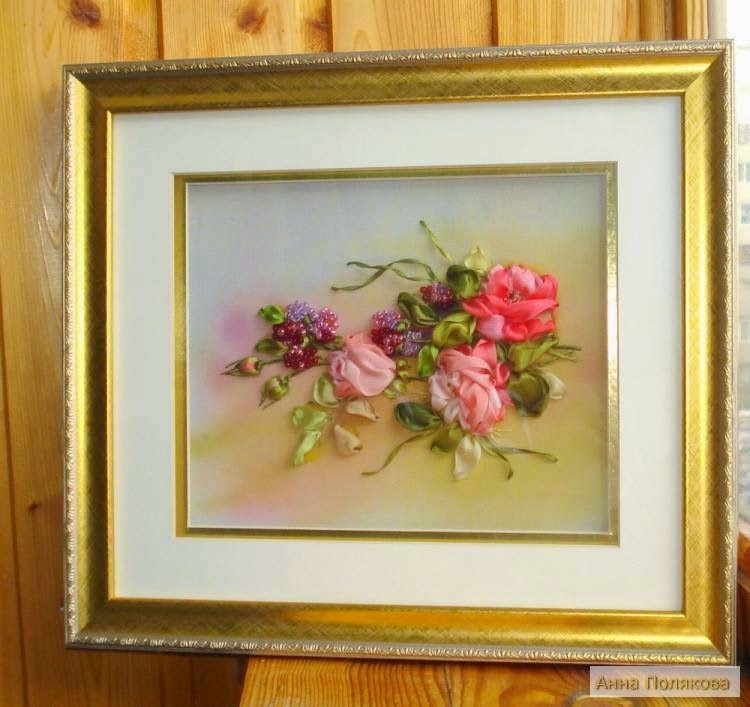 The item shown in the photo has been sold, but there are other examples of her work at this link . She offers kits to learn how to do this kind of art. 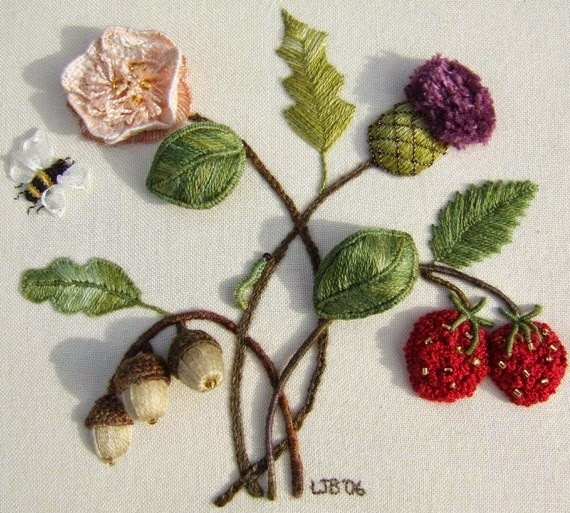 I am not familiar with "stumpwork," which may be the European name for it, but it is beautiful. This is a kit for an English Needlecase in Lorna's shop. I discovered the next photos on Facebook posts. Most of the creators seems to be in the area of Russia and Ukraine. I wasn't able to tell if these are created from kits or made totally by the artists, but talent is still required to make these beautiful finished artworks. I doubt I would be able to make anything near the quality of these works. I hope you like these designs as much as I did. You can follow the links to find more samples of this craft. This is her cover photo since 31 JAN 2015. 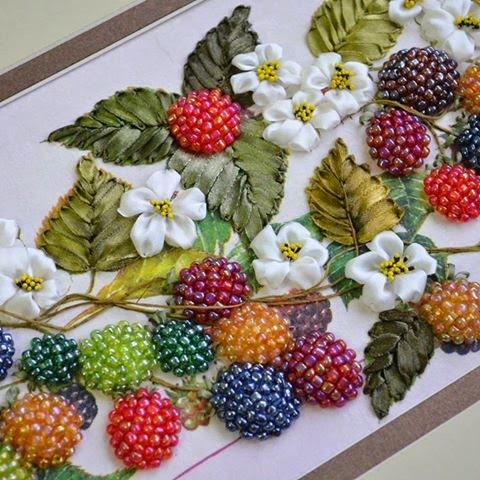 Aren't the beaded berries wonderful. but came from Tetiana's page, I think. Isn't it beautiful.... so fragile, muted, elegant. 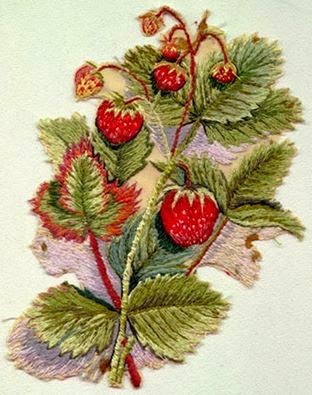 as an example of "crewel" embroidery. photo from Mehtap Gacar's FB page. I could have searched for and posted many more examples of these kinds of embroidery... but I stopped myself with these. This new effort in blogging is creating learning challenges for me...but I hope to find a way through as quickly as possible. After a long week of trying to find a topic for this post, I will share some of my recent favorite item on Etsy, tell you how to find them, and share why I chose them. Below is one item I hearted today as I was searching for a topic for this blog post. It is from the Etsy shop titled : Debra's Divine Designs. She takes the wings of real butterflies and incorporates them into her jewelry designs. The blue button that holds this wrap bracelet closed is the butterfly component. 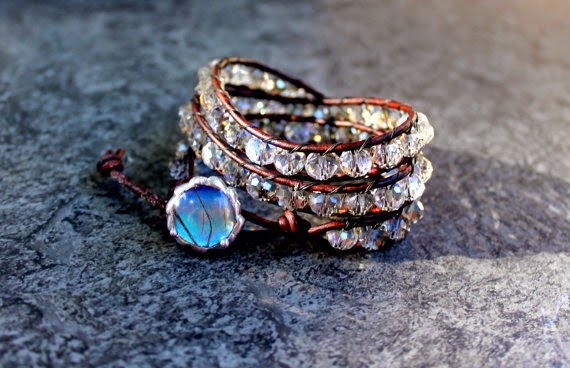 What I liked about this listing is the great photo presentation, the faceted beads which are identified as smoky crystals, and the brown strands connecting everything together (which is noted as "distressed brown leather cord" in the description. The additional photos only make it look even better. In online selling, photos are everything. 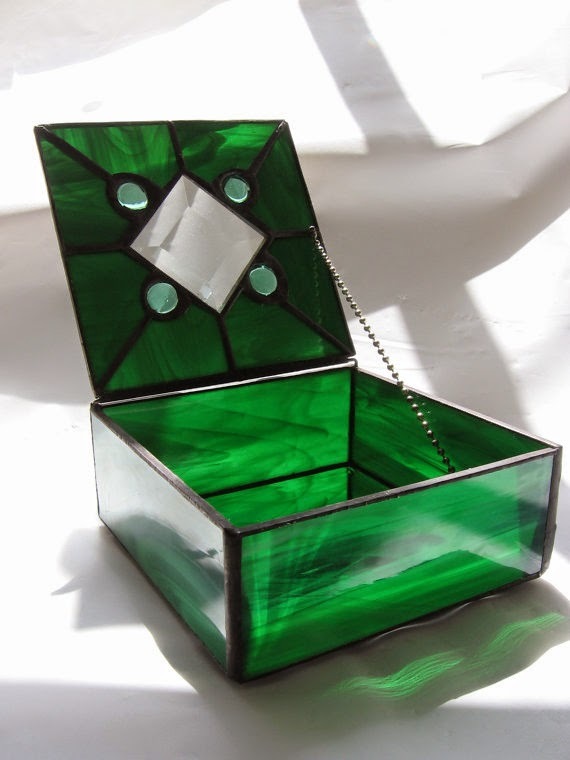 Another item I discovered in my search for today's blog post is the stained glass box below. 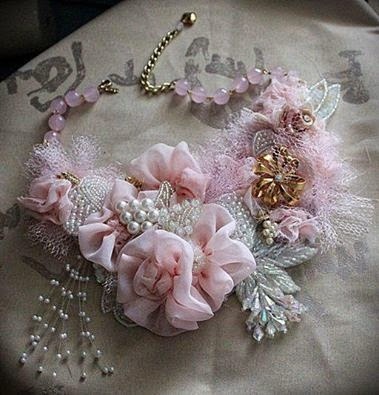 Wendy Joy is the listed crafter at W Joy Designs. She makes a variety of items, including other stained glass objects, jewelry, mosaics, and candles. I originally went to her shop because of a sun catcher I noticed somewhere. (I am thinking of my own kind of window elements and am trying to find a price range for this kind of product.) I was greatly impressed with the box and the bright color. It seemed like a wonderful item to possess -- and to hide personal treasures in. 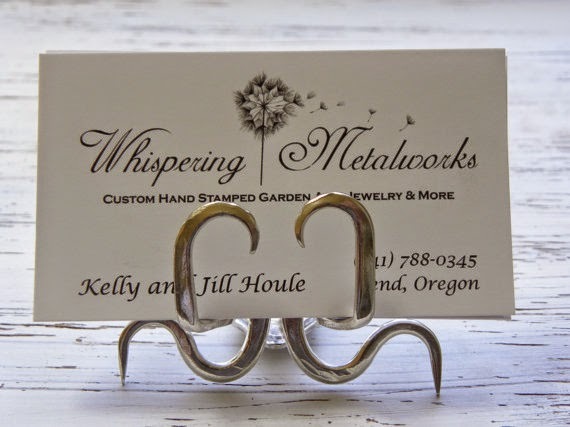 Below is another item I really liked at the Etsy shop called Whispering Metalworks where Kelly Houle is listed as the shop crafter. I am very fond of recycled creations, and the craft world is beginning to make amazing things out of wood, cloth, metal, glass, and other recyclable materials. I am always looking for the best ones. Creating new objects with old silverware is a developing craft. I have seen all kinds of kitchen metal made into wind chimes, and now I have discovered a very talented person who makes forks into shapes that look good and are useful. This business card holder is very unique looking and makes me smile. It reminds me of an octopus with the wavy tines. I love it! If you follow the link to her shop, you will be able to see many other items made with knives, forks, and spoons. Finally, for today, I wanted to share a painted cup because of the design, which I think looks like a wolf. Against the black of the cup, the design stands out. This item is from the shop Jasmine's Treasures LLC, where Renee Stewart is listed as the shop owner, but the About page shares that it is a mother-daughter (and granddaughter) enterprise. 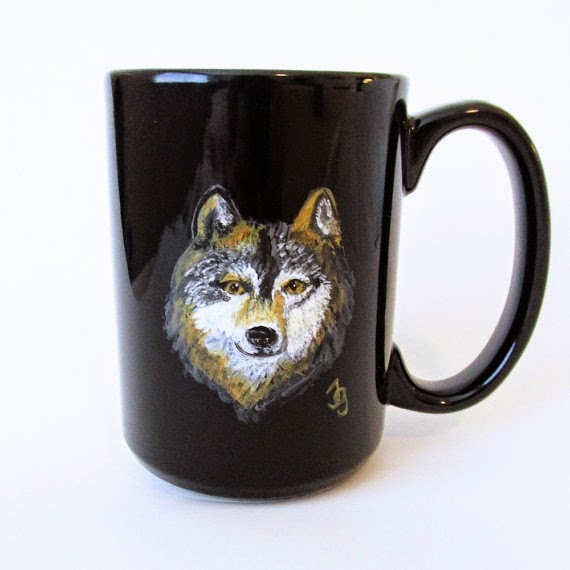 It makes me think of endangered animals and groups that protect animals, but you can make an order to have your pet painted on a cup for yourself if you want. Creative talent is varied and diverse...varied by the craft, diverse in how the craft/talent is applied. I am always inspired when I explore the shops at Etsy. I hope you enjoyed this small sample. I was looking at a Facebook site today and I noticed a video link about making artistic designs directly on a wall. The title talked about wallboard designs and I couldn't figure out how that could be done to create the scene in the photo... a beautiful mountain scene with evergreens, rocks, and some kind of large fish I thought. When I followed the link it went to a You Tube video demonstrating how the scene was created by the artist (Bernie Mitchell). 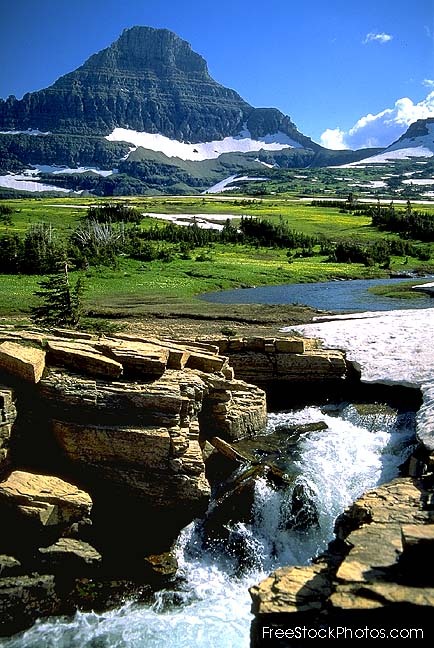 The links are below for you to explore. I will try to add photos before I post. At You Tube I notices a number of other videos to see... and that they were posted as far back as 2009. I had no idea this decorating option existed. 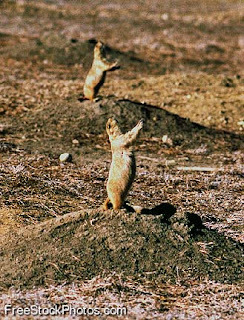 I hope this was OK to do, but I uploaded this photo from Bernie Mitchell's Facebook page. It is a great sample of what this blog is about. Isn't it amazing to see this kind of sculpture on a wall. If you follow the ART RELIEF link you will find a short presentation of a variety of designs, some created to look like abstract framed art. I liked the first design, which looks like some kind of wave, and the second design that looks like a giant tulip or rose on a special wall. You will have to explore these designs links for yourself. I added the Randy Detjen links because they were also on You Tube and offer another look into the creation of these art works in a home. I hope you are as amazed as I am to see this opportunity and the talent that makes it. I liked the idea of creating these designs for regular framing... and thought of shadow boxes that are deep and would protect these designs a little better. I wondered what kind of design I would like to have in my home, and what room it would be best in. I always loved the world maps on walls that I have seen...but they were in marble. I can't remember the name of the store that had them, but it was an educational toys store. I'm not sure where I would put that size of a map, but if I had my own library, it might be on a wall there. What would you like to see in your home? 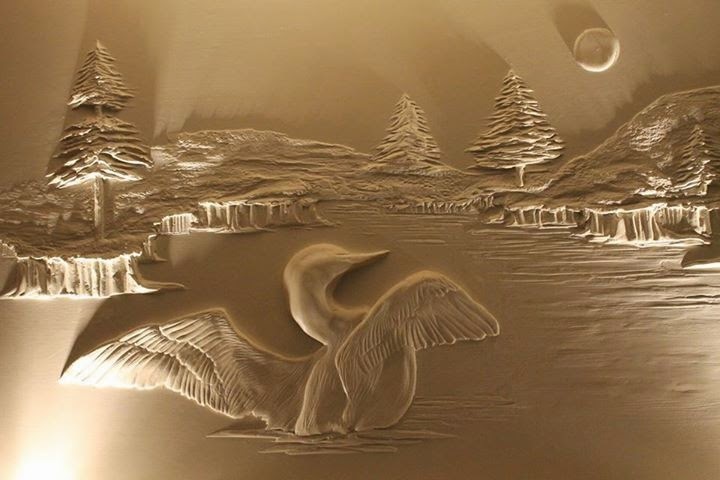 What A Relief - Randy Detjen -- business page with videos about how he makes his artworks.